SLIP ALONG POLKA BY JOE MORLEY. 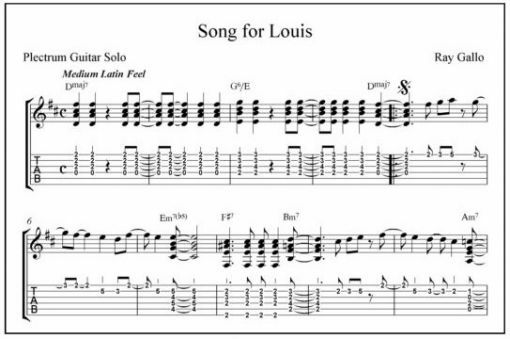 SONG FOR LOUIS BY RAY GALLO. 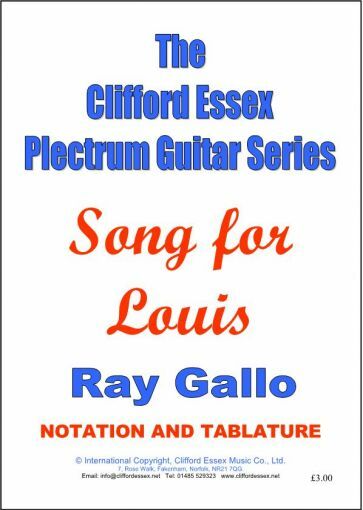 Location: /Sheet music/Plectrum Guitar/SONG FOR LOUIS BY RAY GALLO. Like his father Louis, Ray Gallo is a leading exponent and teacher of the guitar. Every astute musician reads BMG. DEDICATION TO EDDIE LANG BY ALBERT HARRIS. CONGO CAPERS BY EMILE GRIMSHAW.